It seems like so long since I've done any crafting. A week! Thanksgiving was rough, with the husband and me getting sick. So I didn't have a lot of time to play with my Cricut. 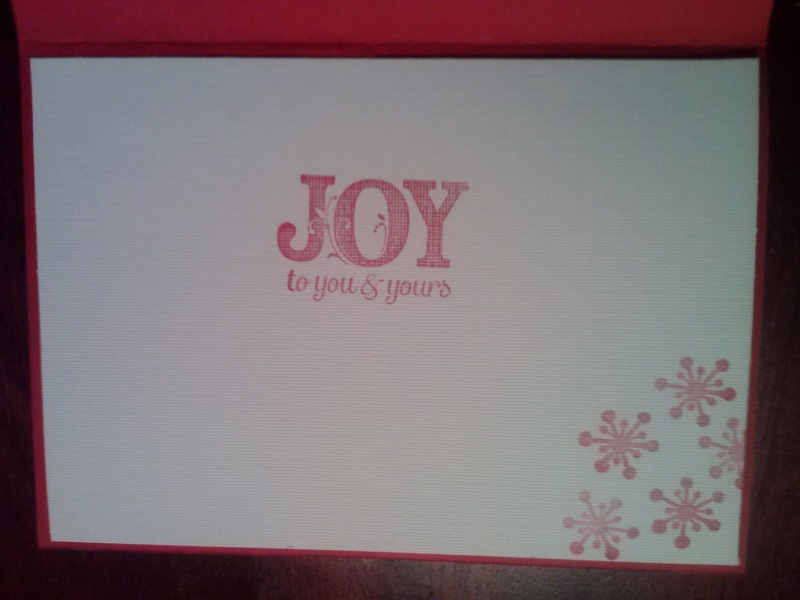 I was finally able to make this card to start off the Christmas season. 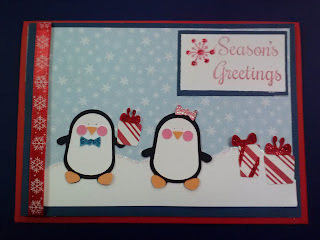 I used Simply Charmed for the penguins and gift boxes. I added ribbon and glitter glue for a little extra decoration. Here's a close-up of the cute penguins. I stamped a simple sentiment and snowflakes inside the card. Wow super cute design thanks for joining in our challenge this week. This is darling, the little penguins are some of my favorite cricut images they've come up with!! Thanks for joining us at FCCB this week!!! Awww sorry to hear you have had such a rotten time.. Hope you and hubby are better now. No crafting for a week .. cor you MUST have been really sick!!! Love this project tho ... cute and pretty. Thanks for joining us in this weeks PanPastel Challenge . CUTE,your card is so adorable !! Simply charmed is one of my all time favorite cricut cartridges. Thanks for joining us this week at FCCB !!! 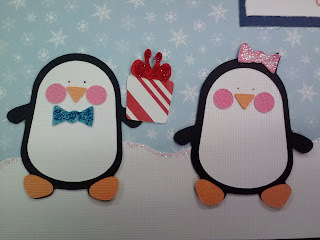 The Cricut Simply Charmed image Penguins are charming & cute. Like Penguins. Recently posted a scrapbook layout I created using photos of Penguins swimming at the Dallas Zoo and posted it to my blog if you are interested in seeing. Thanks for entering Pause Dream Enjoy Anything Goes challenge. This card is so cute! I love the colors and the layout! Thank you for joining us over at FCCB! 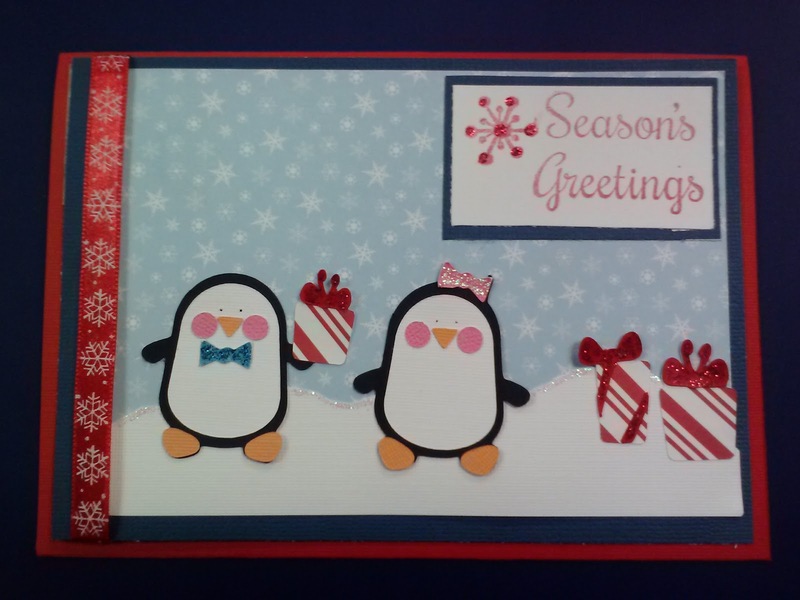 Totally CUTE card -- LOVE the penguins, your LO and that snowflake ribbon!!! 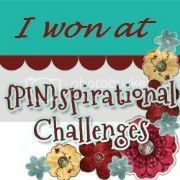 Thanks so much for sharing with us @ My Sheri Crafts!!! Such cute little penguins! Thanks for sharing with us at The Crafty pad this week & for adding some glitter! Adorable creation. 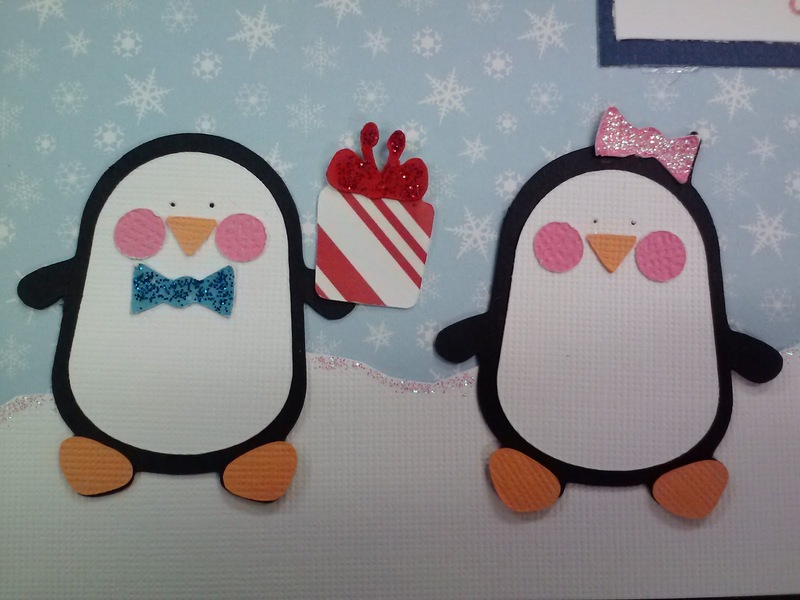 I love penguins and these are soooo cute dressed in their holiday best. Wonderful. Ha ha, really cute penguins, it's a lovely card. Cute cute cute! Those penguins are so adorable!